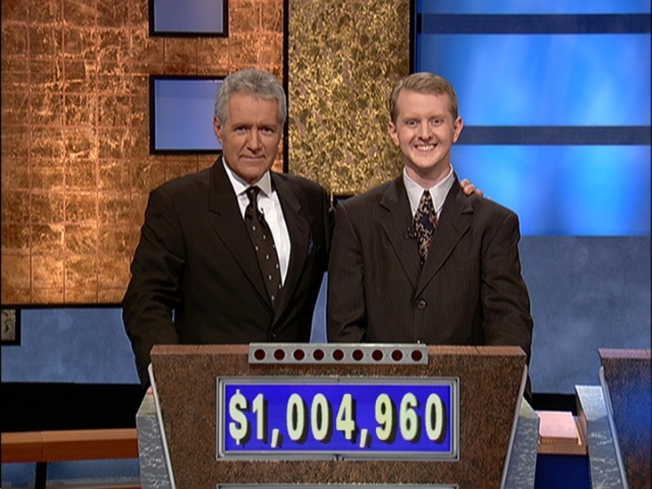 Jeopardy host Alex Trebek poses with contestant Ken Jennings. Your answer in the form of a question is, “What is awesome?” See post title. Jeopardy is turning 25 this year, and in celebration, they’re hosting a contest. The spoils? An all-inclusive 10-day trip to the Galapagos Islands, hosted by none other than “the other silver fox” Alex Trebek. You’ll be exploring in style on the National Geographic Endeavor as you cruise from port to inlet snorkeling with penguins (! ), gazing at sea lion colonies, checking out the tortoise breeding center, and hanging out at the Charles Darwin Research Center. You don’t even have to be on Jeopardy to qualify for this fabulous trip. All you have to do is set your Tivos to the show March 30 through May 1. After each show airs, log on to the Jeopardy site and correctly identify the Final Jeopardy category for the show. Winners will be selected at random, and the trip is scheduled for October 16-25.